Is the FTC a Libertarian Government Agency? Probably not. But any government agency that files an amicus brief supporting an Institute for Justice case challenging anticompetitive state action deserves some libertarian props. If I had to name a favorite government agency, I would pick the FTC. I don’t agree with many of their positions, of course, and have gone up against them before. But they work hard to rein in anticompetitive state and local conduct and that is meaningful. In those instances, they are champions of competition. These state and local boards shouldn’t violate the antitrust laws. Andrew Gavil, the Director of the Office of Policy Planning at the FTC, testified before the House Committee on Small Business on “Competition and the Potential Costs and Benefits of Professional Licensure.” This is an issue that I have studied for many years and the FTC has been and remains a leader in protecting competition from needless entry barriers by state and local boards. Let’s take a quick look at Andrew Gavil’s written statement, which officially presents the views of the Federal Trade Commission by a 5-0 vote. The FTC’s statement discusses competitive issues relating to state and local licensing and regulation of occupations, trades, and professions. While such licensure can have benefits, the FTC has come across many restrictions that impede competition and raise entry barriers with little benefit. The reason is that the decision-makers have a stake in the game: “Occupational regulation can be especially problematic when regulatory authority is delegated to a nominally ‘independent’ board comprising members of the very occupation it regulates.” As the FTC explained, when the “proverbial fox is put in charge of the henhouse,” the financial incentives of the board members “may lead the board to make regulatory choices that favor incumbents at the expense of competition and the public.” This is a real problem. Let’s reflect on that last statement because it is hits on something that I consistently see as an antitrust lawyer. Putting aside the licensing context for a moment, it is quite common that an incumbent competitor or group of competitors will make a good living for many years with a certain business model. For whatever reason, they don’t need to change or are able to gently resist change for many years. Then, a new technology or business model develops that threatens them. The internet has spawned this story again and again. Uber is a great example. 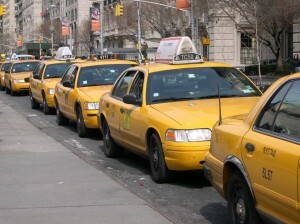 The taxicab industry, with the help of restrictive state and local laws in many instances, made above average profits. Then a new way of doing business arrives because of the some creativity, risk taking, and technology. These incumbent competitors, in whatever industry, can react in three ways: (1) they can improve their prices, products, or services to better compete; (2) they can disappear; or (3) they can engage in anticompetitive conduct to raise their new rivals’ costs or raise entry barriers. I constantly see this story play out with incumbents choosing the third option—cowardice. Unfortunately, these incumbents that would rather keep their cozy lifestyle than compete are often well-connected with state and local government. They call in some favors and the government helps them erect entry barriers. Sometimes they will engage in anticompetitive conduct without the government’s help. But sometimes the government is all that keeps them from disappearing or having to compete. This is worst-case scenario; competition and consumers lose out. The FTC is well-aware of this problem in the context of licensing boards. These incumbents on the board are privately interested in protecting their own practices and those of their professional colleagues. So they engage the machinery of the state to raise entry barriers and harm their upstart competitors. The US Supreme Court accepted review on a case where exactly that happened—in North Carolina State Board of Dental Examiners v. FTC. I recommend that you read the FTC’s written remarks. If you love competition like I do, you will be impressed. What many people don’t realize is that the FTC, besides reviewing mergers and bringing enforcement actions, devotes a great many resources to competition advocacy, including comments, testimony, workshops, reports, and amicus briefs. This is why they are my favorite government agency. You can now read this post in both French and English at Le Concurrentialiste, Thibault Shrepel’s Competition Blog.